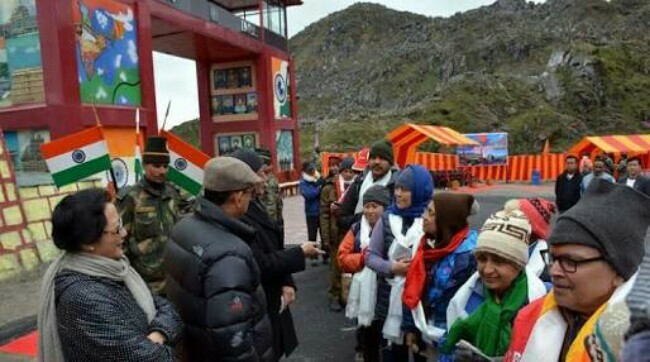 A total of 350 yatris have registered for the Kailash Mansarovar Yatra 2017 via Nathu La route, a senior Tourism official of Sikkim government said today. The 350 yatris would travel in seven batches of 50 yatris each. The first batch of yatris will report at New Delhi on June 11, and will arrive in Gangtok on June 15. They will cross over to the Chinese territory on June 19. 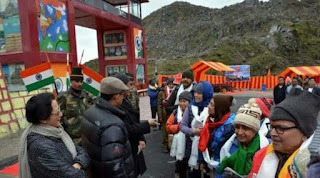 The final batch of yatris will reach Gangtok on August 12, after completing the Yatra, said the Tourism secretary of Sikkim Government, C Zangpo. The entire handling of the Kailash Mansarovar Yatra via Nathu La will be done by Sikkim Tourism Development Corporation (STDC). The Secretary further informed that a meeting to take stock of the preparedness for the Kailash Mansarovar Yatra 2017 via Nathu La was held here in the capital last week.